Dolly Wink is a make up line produced by Tsubasa Masuwaka, which is a very known Japanese Guru and model. Dolly Wink contains make up products such as eyelashes, eye shadow, nailpolishes, mascara, eyeliner etc. Most Asian bloggers/gurus already talked about her fabulous style and make up. Because of her and Dolly Wink's popularity I bought their eyelashes and the long mascara.In this post I'll be reviewing the Dolly Wink Long Mascara. 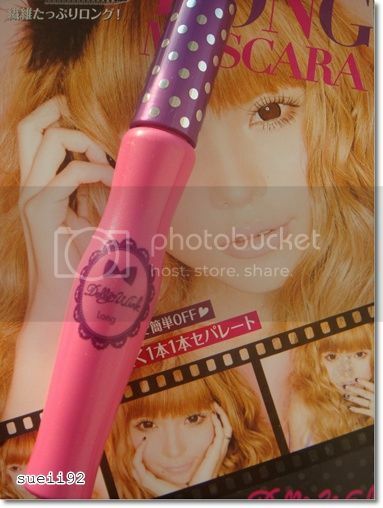 Koji DOLLY WINK Long Mascara (Black) has a waterproof formula, it can maintain long lasting and will not blooming. 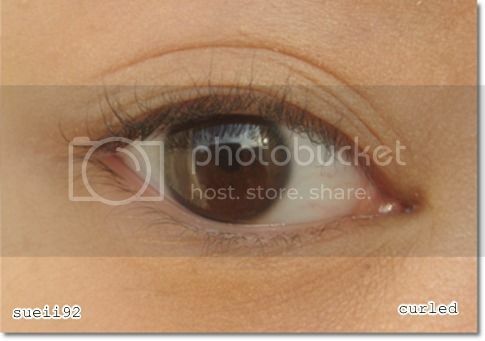 Containing curl stereotypes polymer, which can help your eyelashes extend upwards and provide you a curled eyelashes. 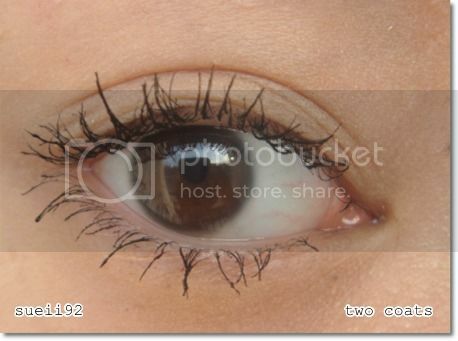 And your eyelashes look long and three dimensional. First the packaging is very cute. It also contains an instruction card (which I forgot to take a picture of ><) to learn how to use the Long Mascara. I can't read Japanese, but looking at the instruction pictures I think you just have to apply the mascara from the roots. And after applying one or two coats, use the tip of the brush to lengthen every individual lashes even more. 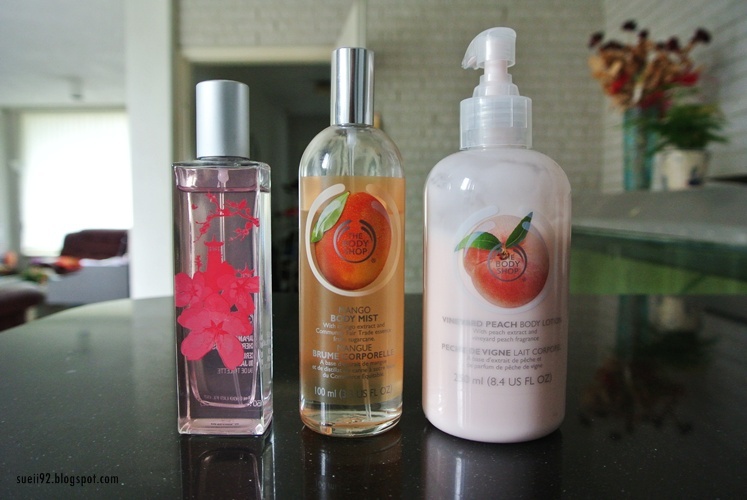 The formula is really great, is isn't too wet or dry although it's more on the wet side. The application goes smoothly also because of the brush. Another plus is that it doesn't clump at all. It doesn't smudge or smear - it lasts the whole day. The hold of the curl is not as maximum like other waterproof mascara but it does hold my curl (my tip: wait for the coats to dry before applying another coat). About the finish of the mascara is amazing. 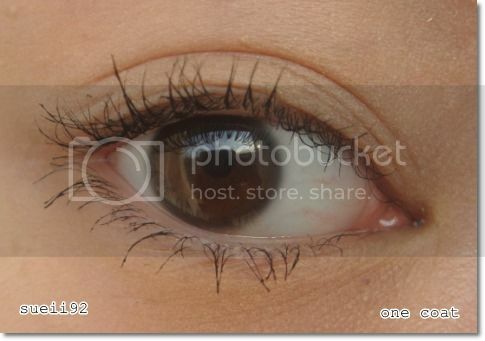 With patient applications you can super lengthen the lashes! Not only lengthen this mascara, but it also separate the lashes very well. For removing the mascara, you can simply use warm water. 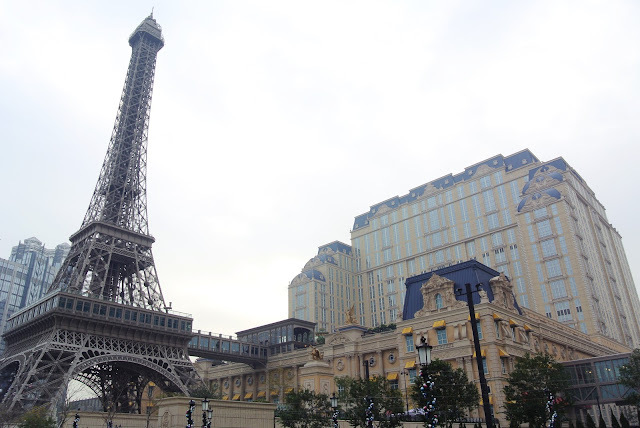 It won't give you a panda look, in fact, it comes of like little black strands. Will I repurchase this Dolly Wink mascara again? Maybe.. 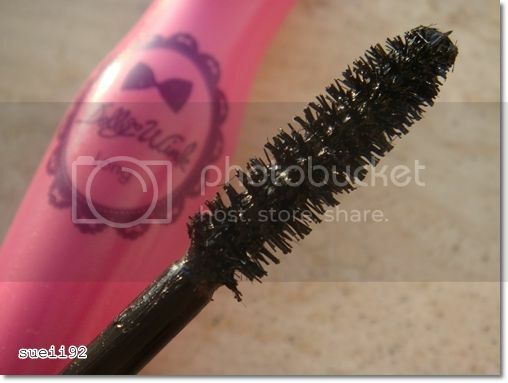 It is a very very good mascara with fibers. Very good in lengthening and easy to remove. But I also love the Dejavu's Fiberwig in terms of fiber mascaras. But in the end I prefer the Kiss Me long&curl and volume&curl. Because the Kiss Me ones are better in volumizing and holding the curl, even though they are waterproof and need to use makeup remover to remove.